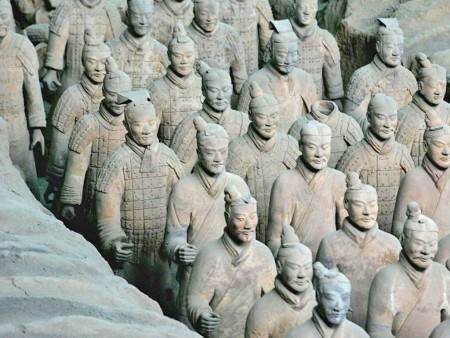 Greek artisans may have trained those who made the Terracotta Warriors. Photo Credit: Getty Images/BBC. 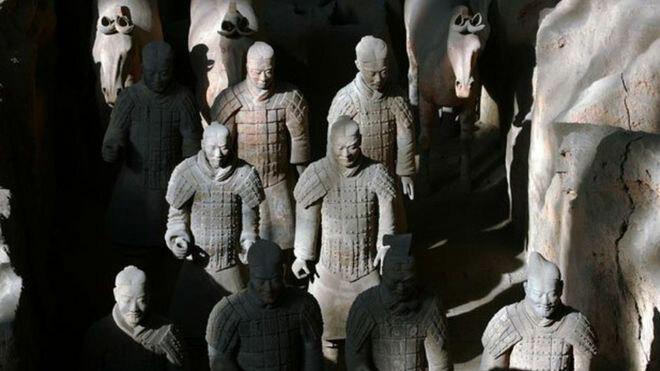 New evidence show that the Terracotta Army warriors were perhaps inspired by Greek sculptors. Recent discoveries found at the Tomb of the First Emperor Qin Shi Huang near today’s Xian have provided archaeologists with new evidence regarding the contact between Asia and Europe more than 1,500 years before the travels of Marco Polo. 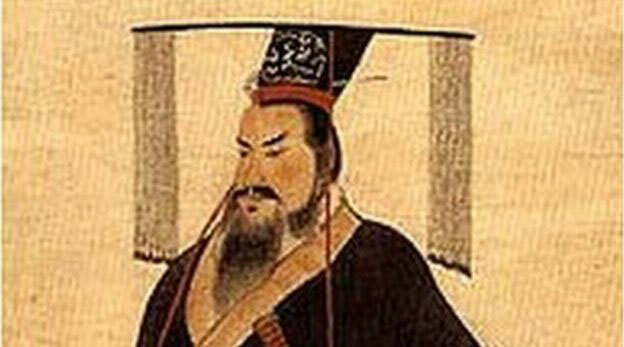 The discoveries include ancient European DNA from sites in Xinjian province at the time of the First Emperor. Although Marco Polo’s journey to China was the first we have explicit evidence from, Chinese historians have evidence of connections between China and the West, the Roman Empire in particular, in the 2nd and 3rd centuries AD. The new evidence support the existence of such connections much earlier. 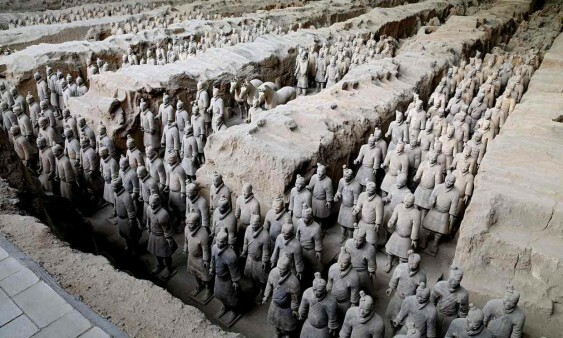 Archaeologists and historians believe that the Terracotta Army, the acrobats and the bronze sculptures found in the Tomb were inspired by ancient Greek sculptures and art, said Li Xiuzhen from the Emperor Qin Shi Huang’s Mausoleum Site Museum, a senior archaeologist at the site. They even believe that the First Emperor was influenced by the arrival of Greek statues in the century after Alexander the Great and that Greek sculptors may have been at the site to train the local artisans in the 3rd century BC, as Lukas Nickel, chair of Asian Art History at Vienna University, and one of the team working on the history of the figures, said. The techniques used, applied in ancient Greece and Egypt, as well as the life-like size of the figures, a first at the time, led archaeologists and historians to the theory. The recent discoveries include numerous findings such as evidence that the tomb complex of the First Emperor was much larger than previously thought, remains of mutilated women buried with jewellery of gold and pearls, probably concubines of the First Emperor, and the skull of a man with a crossbow bolt in it, perhaps of Prince Fu Su, the First Emperor’s eldest son who died in a power struggle after the emperor died. The new discoveries will be presented in a documentary by the BBC and the National Geographic, The Greatest Tomb on Earth: Secrets of Ancient China, which will be shown on BBC Two on 16 October.